The voice is fundamentally a wind instrument. We use air to make sound, rather than vibrating strings or hitting objects. However, when we’re trying to reach the high notes in our voice, it’s more helpful to think about a violin than a flute. When you want to make a high note on a wind instrument, we shorten the sound waves by either making the tube smaller. 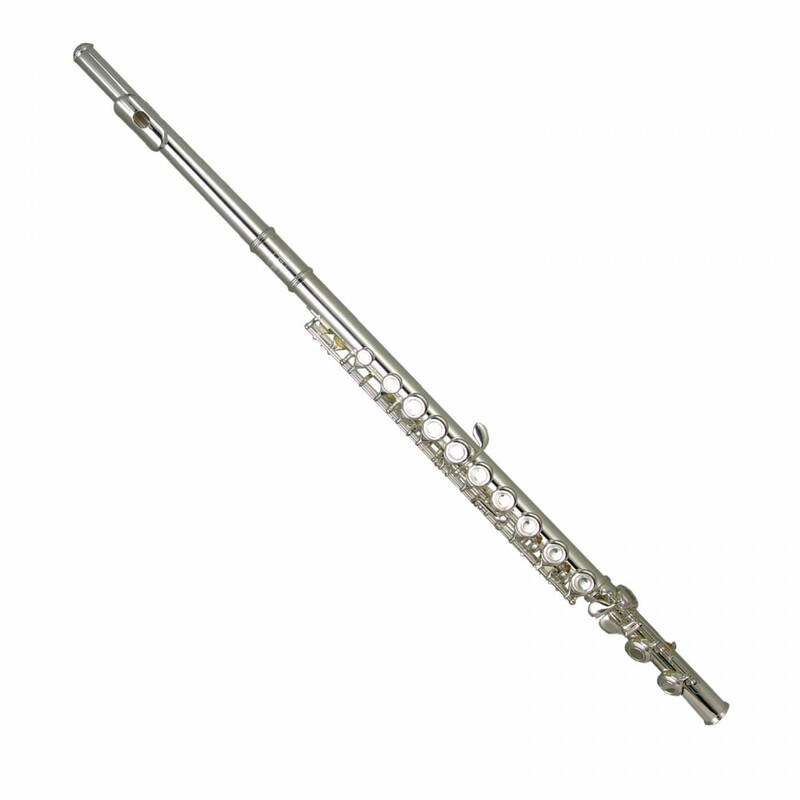 A piccolo has a shorter and narrower than a flute. If you’re tuning a flute or a recorder, you push the head and body together more to sharpen the pitch, and pull it out to flatten it. Many people try to sing high notes like a flute – they try to make the tube smaller. We tense up in the back of our throats and neck, raise our tongues and generally make all our airways small. This can really succeed in making a high note, but it often sounds pinched or squeezed and not very pleasant at all! It also stops being effective after a certain point. The bone and cartilage makes it impossible to keep making our throats smaller. So what about a stringed instrument? To make the pitch higher on a violin, we fit thinner and thinner strings, and we stretch them tighter. 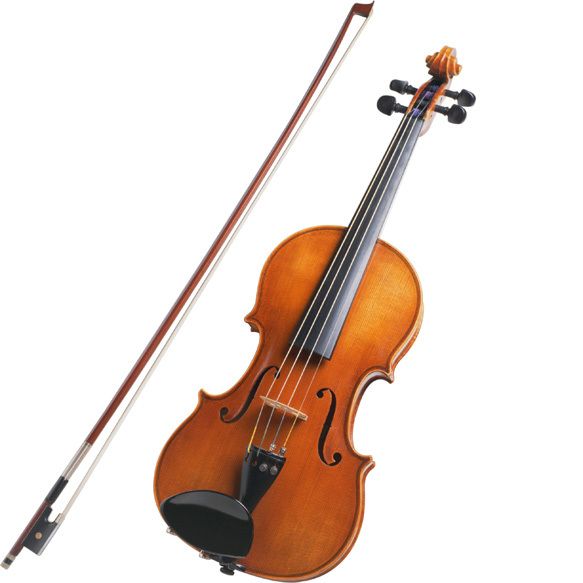 On a violin, all the strings are the same length, but the tension on each will be different. To make any string sound higher, we pull the string tighter – we make it “longer”. When you want to reach the high notes in your voice as a singer, it’s much better to imagine this process of making your vocal folds longer like a violin string. To make a higher pitch, your vocal folds need to vibrate faster, so we need to increase the tension by lengthening them. Think of it like plucking a rubber band guitar. If you stretch the band more, the pitch gets higher. As you start to sing higher, imagine your vocal folds getting longer. Think about getting taller and longer as you go higher, and open up your throat vertically. At first, this might feel strange, and it might even sound strange because your muscles aren’t used to it. However, you’ll start to find you get a much more pleasing noise on the higher notes, and the range of your voice will increase because you can lengthen and thin your vocal folds much more than you can tighten and constrict your throat. As you experiment with this, try to keep your tongue low and your mouth quite open as this will mean the sound has plenty of space to resonate in. To practice singing higher notes and extending your range, try exercises like arpeggios which go from a low, easy to sing pitch, to a high pitch in a single breath. 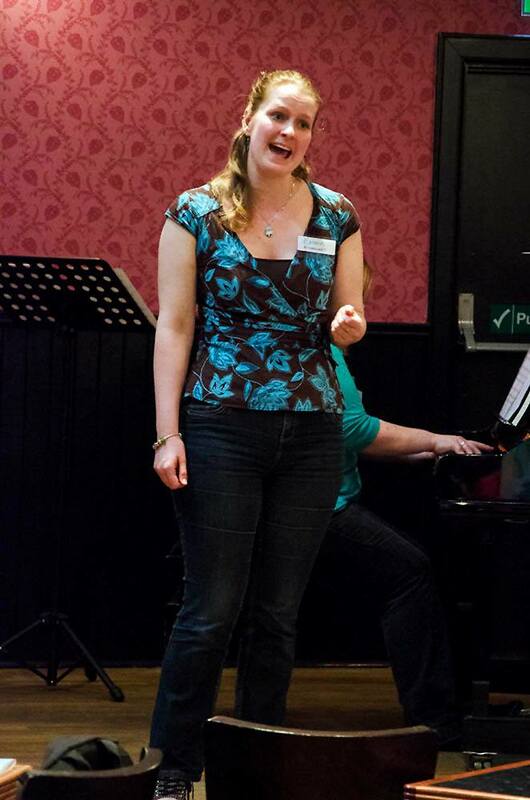 Aim to keep your throat and mouth as open and relaxed on the high notes as on the low ones. With any luck, starting to sing like a violin will soon help to make those high notes easier to hit and much more pleasant to listen to! How do you think about your voice when you sing high notes? What exercises help you to extend your range and sound good in your upper register? This entry was posted in Teaching, Tips for students and tagged exercises, intermediate level, technique, tips & tricks, vocal health on 10th June 2014 by .